Smartphones provide an endless source of connection, information, and entertainment. But a growing body of evidence shows a darker side to our device habits: addiction. 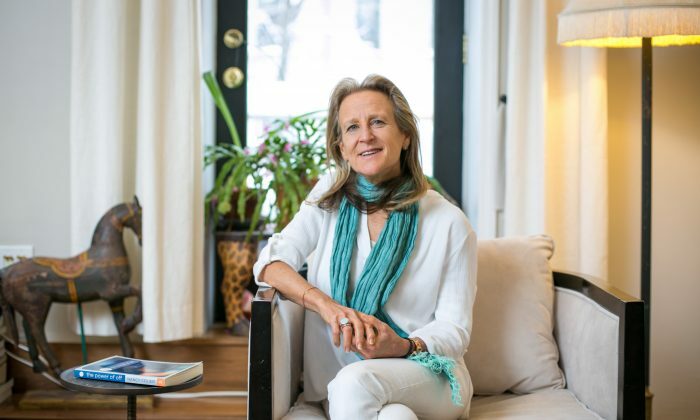 In her new book, “The Power of Off: The Mindful Way to Stay Sane in a Virtual World,” psychotherapist and interfaith minister Nancy Colier charts a pattern of device addiction from research and from observing the behavior of her clients, family, and friends. Addiction is an overused word these days. 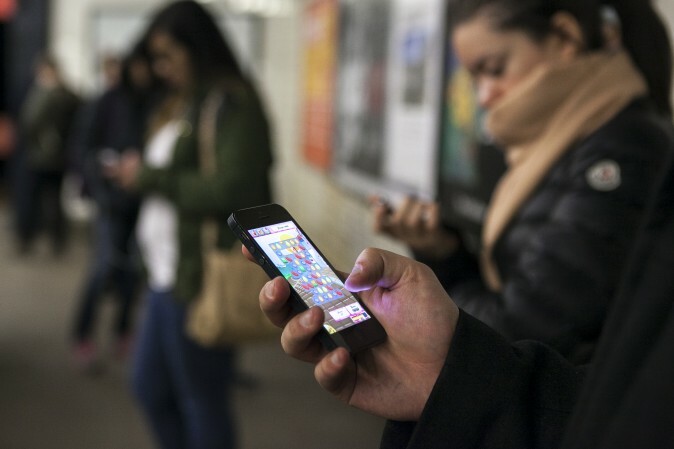 But when it comes to smartphone use, studies point to behavior very similar to abuse of a psychoactive drug. Now that we all carry around a distracting device, we never have to be alone with our thoughts. In The World Unplugged project at the University of Maryland, researchers found that a clear majority of students from 10 participating countries experienced distress when they tried to go without their phone for 24 hours. Students reported being scared when they realized how strong their addiction was. A 2011 study on millennials aged 16 to 22 found that over half of these so-called “digital natives” would rather give up their sense of smell than their smartphone. In 2013, researchers at Cohen Children’s Medical Center in New York estimated that more than 3,000 teen deaths and 300,000 injuries a year result from texting while driving, making it the leading cause of death among teen drivers nationwide. Perhaps it’s because we don’t swallow or smoke it, or that so many people share a heavy device habit, that we remain blind to this addiction even when it’s staring us in the face. One of Colier’s clients, a television news producer in his late 20s, always brings two smartphones to his therapy sessions. They rest on either arm of his chair, and he glances down at them at least once per minute, keeping in constant touch with his office while he’s away. It’s an extreme example, but anyone with a smartphone knows the impulse. If we’re not obsessively checking for the next text or email, we’re scrolling through our recreational apps like it’s a nervous tick. One study found that the average smartphone user clicks, taps, or swipes their screen over 2,600 times a day; heavy users, 5,500 times a day. Numerous factors contribute to the addictiveness of technology. For example, studies suggest that the validation we get from social media acts as a dopamine and oxytocin trigger, much in the same way drugs do. But our device addiction is more than just a chemical response—our relationships, self-esteem, and sense of meaning are all suffering as a result, says Colier. “It’s feeding into this very primal fear of stopping and being with ourselves,” she said. Humans have always sought distraction, but before cellphones there were far fewer opportunities for it. Now that we all carry around a distracting device, we never have to be alone with our thoughts. In this way, obsessive media use is the opposite of mindfulness or meditation, which have been shown to sharpen our attention and focus. A 2015 study from Microsoft shows that our growing habit of multitasking among multiple apps makes it “difficult to filter out irrelevant stimuli.” Researchers also found that since the year 2000 (just before mobile technology took off), the average attention span fell from 12 seconds to eight seconds. “We’ve become so hyper-manic about finding the answer outside ourselves that we don’t look where the real answers lie: inside ourselves,” said Colier. We’re losing touch with what actually feeds a human being. We’re taking the values of popularity and ease and applying them to the larger issues of life. For people who rely too much on technology for their sense of self, the habit can be damaging. Studies show that kids who spend the most time on social media are more likely to suffer low self-esteem, mental health problems, and poor social skills. Unlike real, face-to-face friendships, the digital friendships kids now cultivate are fleeting, says Colier. Humans are naturally drawn toward the quick comfort and escape that mobile technology provides. But spending all of our time in a world of instant gratification costs us something more valuable. A typical American clocks in over 10 hours a day with some sort of media, including radio, television, computers, and smartphones, according to a 2016 Nielsen report. Devices monopolize our waking lives, and, for some of us, they even creep into our sleep—90 percent of 18- to 29-year-olds sleep with their smartphones, as do 70 percent of 30- to 49-year-olds, according to a 2010 survey. An intolerance for boredom and a fear of missing out are the identifiable impulses that keep us tethered to our devices, but on top of this is the manipulative design within the technology itself. According to Tristan Harris, a Silicon Valley software designer turned champion of digital ethics, our devices and apps are carefully crafted to keep us glued to the screen. The practice, known as behavior design, is essential to an industry where so many apps are competing for our attention. Much thought goes into subtle design decisions to ensure that we keep scrolling and clicking. Harris’s advocacy group, Time Well Spent, appeals to product designers to create software that doesn’t exploit our psychological vulnerabilities. Harris believes products can be engineered to make it easier for us to step away from the screen and focus on what really matters. But until Silicon Valley sees the value in designing its products with moral integrity, the responsibility falls on us to keep our device addiction at bay. Instead of quitting tech cold turkey, Colier’s prescription is mindfulness. “There are some incredible tools and great gifts in technology, but we want to wrestle back control so that we’re deciding how we use technology, rather than being its slave,” she said. Colier’s approach starts with awareness. When you feel that habitual itch to check for messages, play a game, or dig for details on the latest celebrity scandal, first ask what you might be distracting yourself from. “We flip it so the impulsive thought becomes an opportunity to check in on what’s happening, rather than an opportunity to anesthetize,” Colier said. Once you’re able to grab the moment (instead of your phone), ask yourself what you really want. Then, try out some new behaviors. Do you sleep better if you turn off devices an hour before bed? Are you calmer if you take a 10-minute, tech-free walk each day? Is there more intimacy in your relationships when you shut down the phone during dinner? In this way, each moment that you previously sacrificed to your device becomes an opportunity to improve your quality of life. For those who can remember a life before cellphones, we at least have a familiar baseline to which we can return. For younger generations, however, life with a screen is all they’ve ever known. And since mobile technology is such an entrenched feature of youth culture, the device habit is even harder to break. Experts recommend that before bad tech habits take hold, parents should place limits on their children’s screen use—even as soon as they’re born. 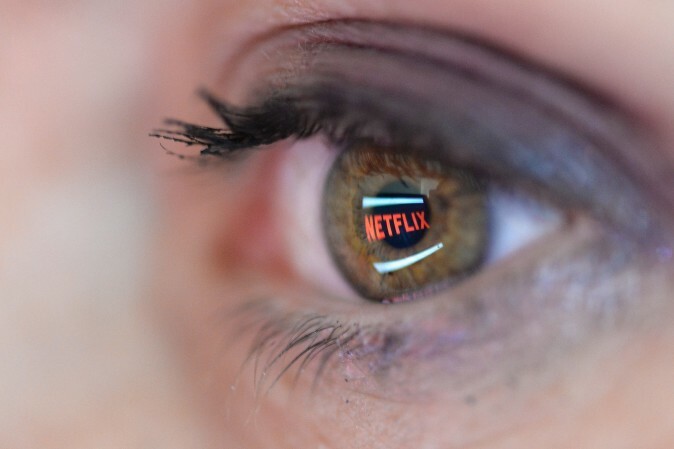 According to the American Academy of Pediatrics, children younger than age 2 should avoid all screen time, except for video chatting with faraway family members, for example. Children aged 2 to 5 should get no more than one hour per day, and it’s critical that this time be spent on high-quality educational programming. Experts recommend that before bad tech habits take hold, parents should place limits on their children’s screen use—even as soon as they’re born. 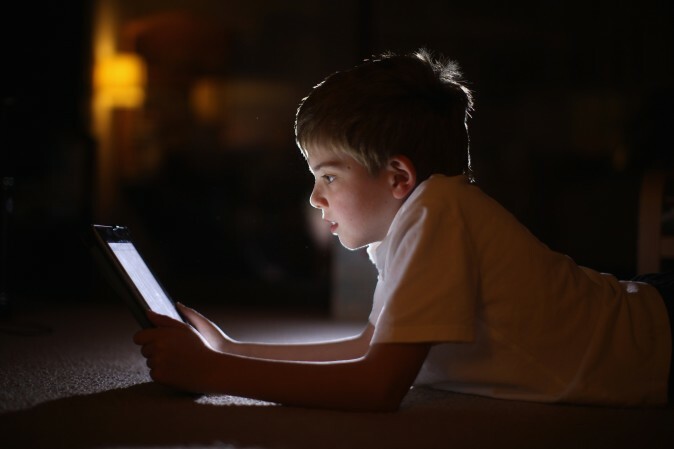 According to Dr. Jean Moorjani, a pediatrician at Arnold Palmer Hospital for Children, there is no one-size-fits-all dose for screen time for school-age children. Rather, it’s about the quality of the media parents allow. In the past, parents just had to teach their children how to be street-smart in the real world, but now parents have to apply these lessons to the online world as well. For this reason, Moorjani is not against teens using social networks, but she says it’s crucial they understand that what they share can stay there forever. Another consideration is making sure the devices don’t take away from a healthy life in the real world. “Looking at a screen, you lose that face-to-face contact. For children and teenagers, it’s so important for them to have time with their families, for that interaction,” Moorjani said. Technological advances have promised to make our lives easier and more connected, but for many of us, facing a screen all day and being on call through our devices 24/7 has become more of a curse than a blessing. As a result, there is a growing movement toward simplifying life and weeding out digital distractions. On the other hand, many users are eager for a future that is even more technologically immersive. Last year, Facebook CEO Mark Zuckerberg announced that his team are working to create new social media experiences that users can access through a virtual reality headset. Colier says that no matter how advanced the technology becomes, every moment still allows us a choice to decide what kind of life we want.